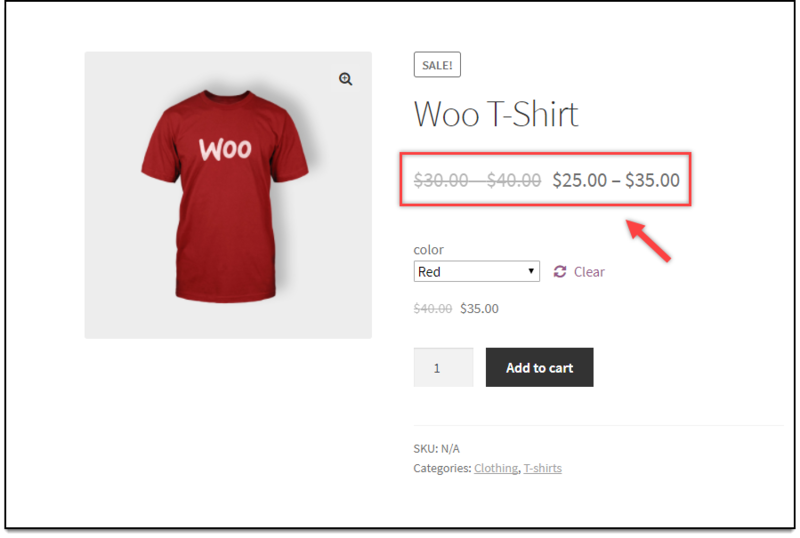 When you apply a discount to simple products, by default, WooCommerce shows the sale price with regular price stricken out. This characteristic is not provided for variable products. With the help of the given code snippet, you can now display strikeout price for variable products. 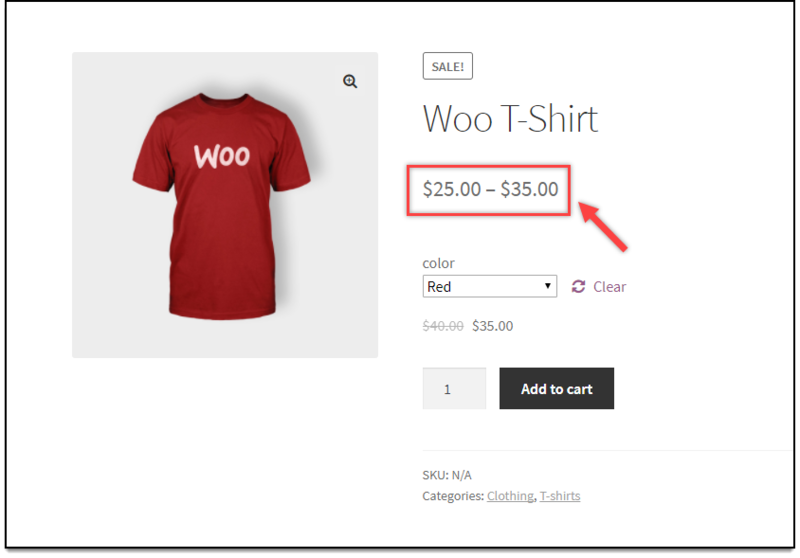 The code snippet is not only limited to ELEX plugins but can be used on any WordPress store running WooCommerce. Consider we have a product, having two color variations, Black and Red, and are priced $30 and $40 respectively. When a sale price of $25 and $35 are added respectively for the variations, the product will be displayed in the store as shown in the screenshot below. When the above code snippet is added, the regular price is stricken out as shown in below screenshot. Note: The given code snippet can also be applied when all variations of a variable product have the same price.